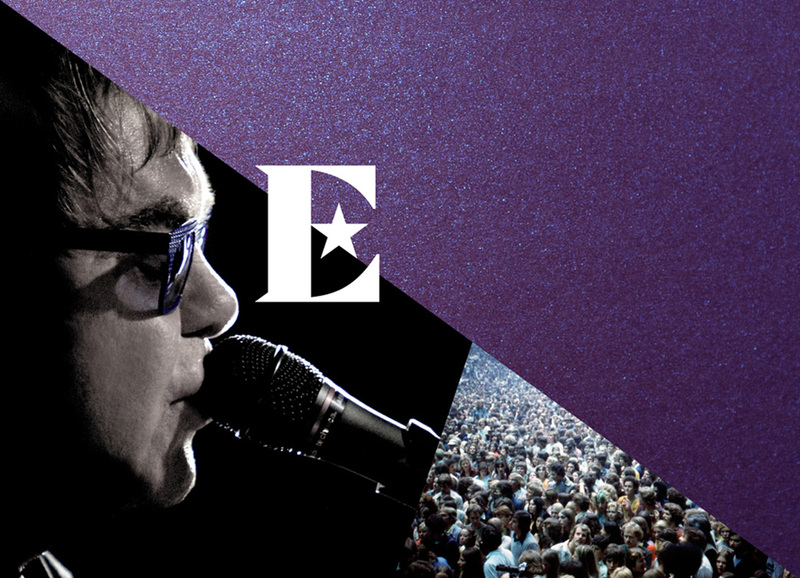 The brief required a new identity befitting of Elton's musical gravitas and the energetic visual style he's become known for. It was important not to alienate his core music following whilst appeal to a younger, fashion conscious audience. A tough brief! What stood out the most while reviewing Elton's style throughout the years was his eccentric eyewear, the most iconic of these being his star glasses. The star formed the basis of the symbol and the identity. 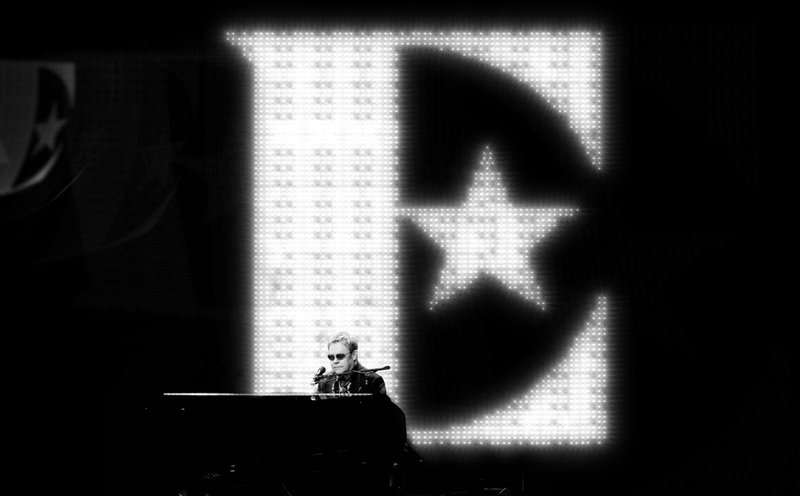 Multiple assets were developed including a grid formed from angles of the star and a black and white colour palette (ebony and ivory) based on Elton's instrument – the piano. 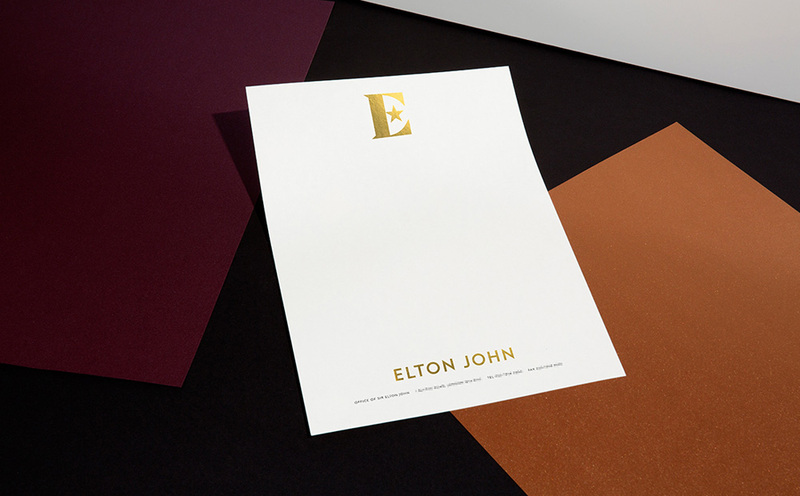 The identity spanned across tour shop designs, stage visuals and Elton's personal stationery. 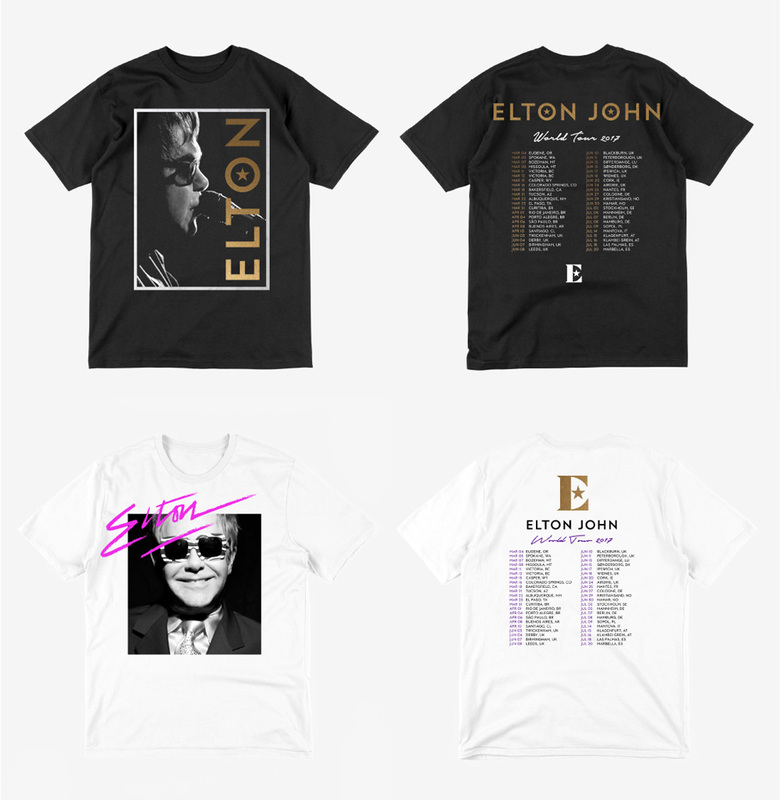 A new range of merch was also designed, soon to be released for his current world tour. 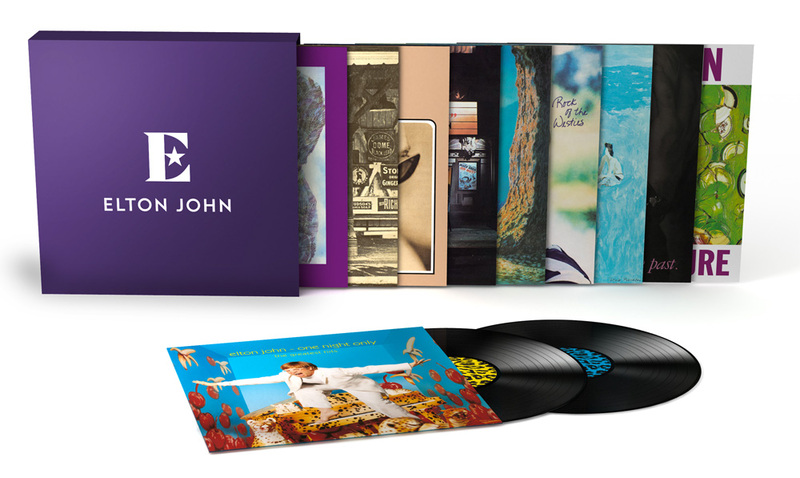 The Elton John Vinyl Club 2017. 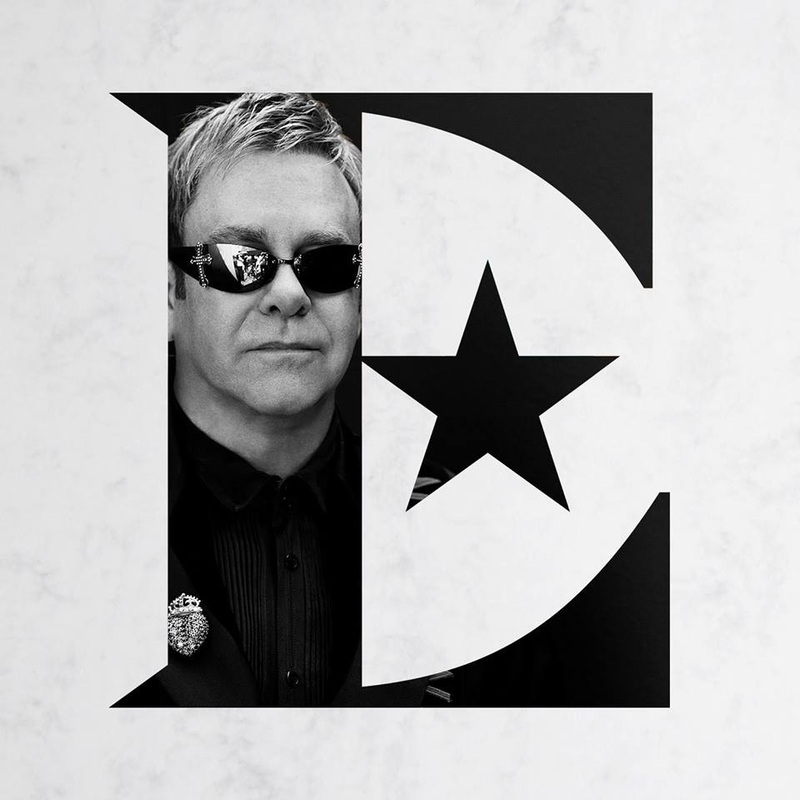 If any celebrity can pull off (and deserves to have) a star as their logo, it’s Elton John. That it references his choice in eyewear is a conceptual bonus. The simplicity of this logo is very deceiving — seeing the final rendering is, like, "Yeah, of course that’s how it oughta be" but it could have easily been trite, sloppy, or boring. The execution is pretty much perfect on that monogram. 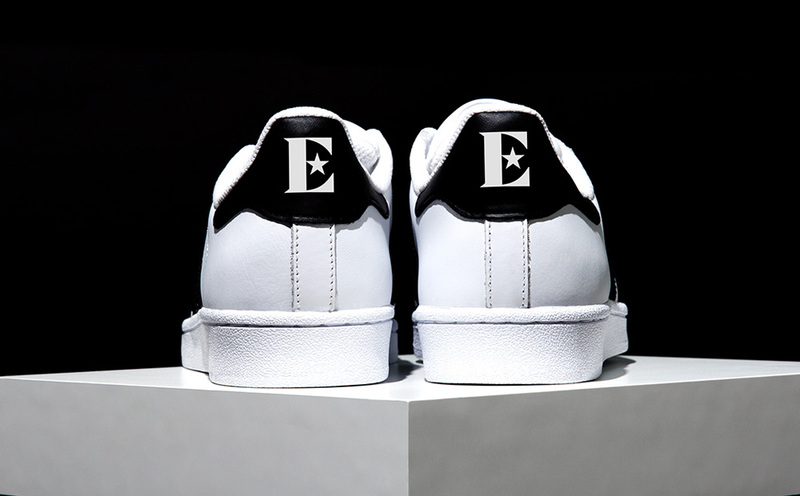 The “E” is the perfect proportion, with the right weight, and the star is perfectly sized and positioned. The most subtle detail, and one that shows the utmost care in how this was designed, is the serifs on the stem of the “E” that are the same angle as the wider angles in the star. Again, perfect. The Futura-ish wordmark is also just the right complement. The applications can pretty much do anything they want with the logo being able to handle any layout, production method, or merchandise item. 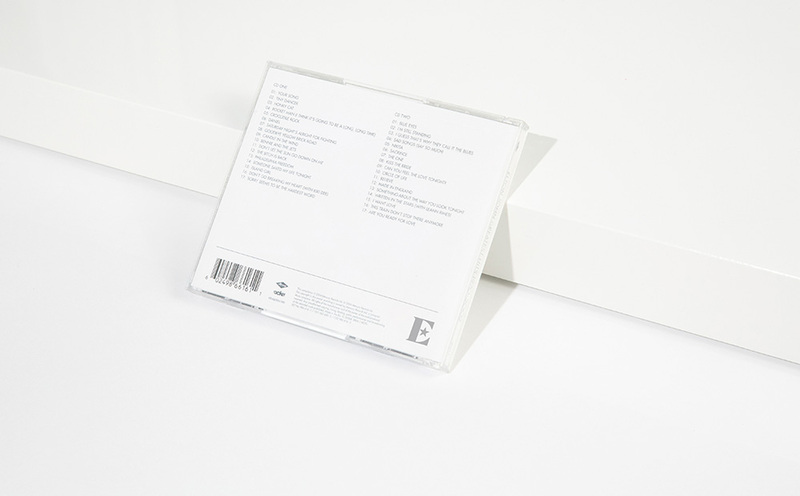 Overall, if it wasn’t clear yet from my fawning, this is a real winner that captures the global star-status of Elton John and delivers a classy yet energetic mark. Thanks to Luis Paulo Lohmann for the tip. 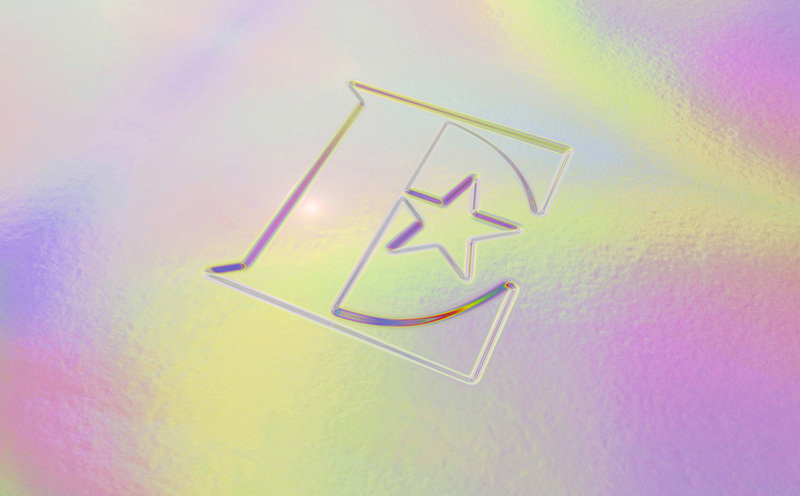 (Est. 1947) \"Sir Elton Hercules John, CBE, is one of the most highly acclaimed and successful solo artists of all time. He has achieved 38 gold and 31 platinum or multi-platinum albums, has sold more than 250 million records worldwide, and holds the record for the biggest selling single of all time. Since launching his first tour in 1970, Elton has over 4,000 performances in more than 80 countries to his credit.\"